I never really cared about how to make corn syrup until we started looking at all the processed foods we eat and eliminating them one by one from our diet. Corn syrup is definitely one of those overly-processed foods that has ingredients I can’t pronounce, so it had to go. And since most corn grown in the U.S. is a GMO (genetically modified organism) crop, you can bet store-bought corn syrup is cut from the same cloth. However, there are recipes where corn syrup is necessary, particularly if you like to make candy, so knowing how to make a light corn syrup substitute at home is a good idea. You should note that because this is a homemade corn syrup, it’s not the same as what you buy in the store, so it’s really an ingredient to use in place of corn syrup. But it works well, and luckily, it’s really so simple to learn how to make a corn syrup substitute, and even a kitchen klutz like me can do it. And while a homemade corn syrup version is still full of sugar, it’s still much healthier than what you’ll find on the grocery aisle. (Even if you use GMO corn, this recipe will work. But if you want to avoid GMOs altogether, then learning how to make corn syrup at home is critical). And believe me when I tell you, it tastes a hell of a lot better. Think salty and sweet meets “fire-grilled on a warm summer eve” corn on the cob. Honestly, that description doesn’t even cover it, but believe me, try this recipe once, and you won’t go back, especially since you can knock it out in about 30 minutes and have about 1 cup of corn syrup to cook with. So without further rambling, here’s how to make corn syrup with sugar and water right in your own kitchen. 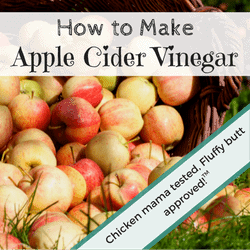 So, for this recipe (printable recipe at the bottom of this page), you’re going to need ingredients you likely already have on your kitchen shelf. If you have extra corn left over from dinner, or corn still on the cob that your kids took two bites out of, then this is a good way to use them up. I prefer using loose kernels to make corn syrup, but if you have them, the cobs do make it easier to strain. Dissolve the sugar in the boiling water by stirring water into sugar. If you need more boiling water, then use it. What matters is the sugar is totally dissolved. Pour into non-reactive pot once all the sugar is dissolved. Slowly heat, stirring to make sure the sugar stays dissolved. This is particularly important as the temperature rises, because the sugar can easily crystallize. Once everything starts to boil, I stir continuously. 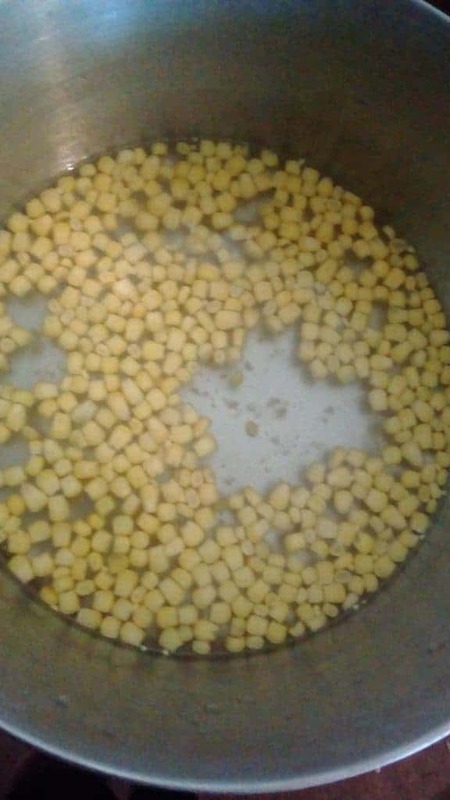 Once boiling, add the corn kernels or cobs. At this point keep stirring. The water will start steaming. Effectively what you’re doing is heating the sugar so it melts, and boiling off the excess water. As the mixture boils, the corn will heat, imparting it’s flavor into the syrup. Keep stirring as the mixture boils. Eventually, the mixture will reduce to about half it’s size. Once the corn syrup starts to look yellow and get thick, you know you’re almost there. 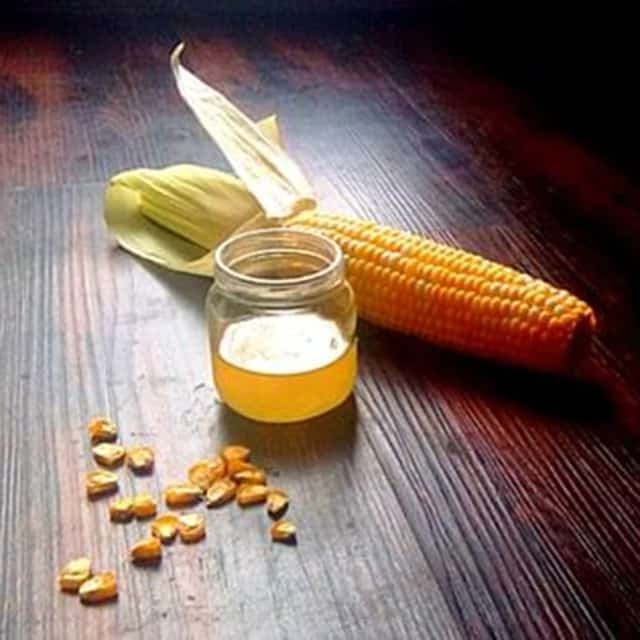 Your homemade corn syrup is ready to remove from the heat when the top starts to bubble consistently over the entire surface of the corn syrup. Remove from heat and immediately pour into a mason jar lined with a strainer to catch the corn kernels. It will be slightly runny, but that’s because it’s hot. Allow to cool, placing something over the mouth of the mason jar to keep out bugs and curious children (it will be very hot) but that will still allow steam out. Once cool, the corn syrup should be even thicker. You can store in your fridge, and it will keep for quite a while. This looks like a lot of steps, but really, learning how to make corn syrup at home is very simple once you get started. 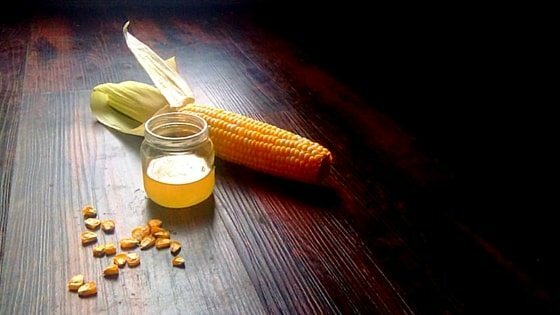 Learning how to make corn syrup is just a simple matter of using ingredients you already have on hand – and it’s not really that difficult is it? Kiss your store-bought corn syrup good bye! Do you have a better idea of how to make corn syrup? Do you think you’ll try this? Leave a comment below! I’m writing your recipe down to try. 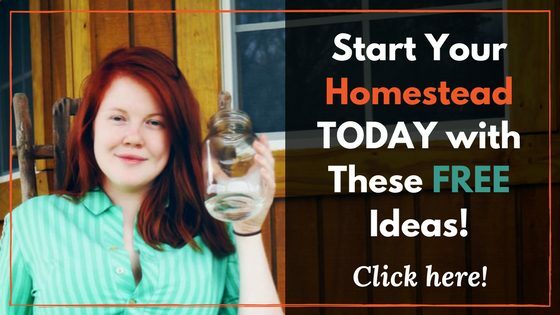 What I’d like to know is after you pour into Mason jar can you just put jar lids on and let it seal? And would that keep like any other home canned foods? I keep mine in the fridge. I’m not sure if it can be canned and stored on the shelf safely. I’ve not tried it with stevia, so I can’t say, but give it a try! 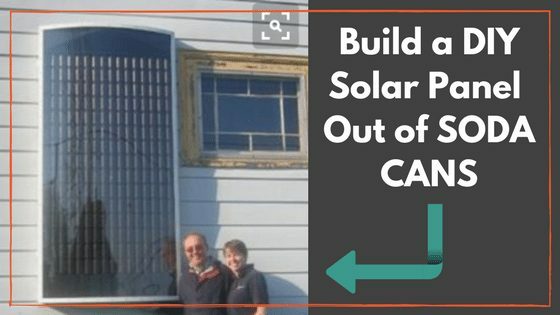 Be sure to let us know how it works out!